Just Unplug your HDMI cable from your TV set and then plug it again. Try out a new and different HDMI Cable to see whether its a fault with your HDMI cable. 1. Right click on desktop anywhere. 1- Do a right Click on your desktop anywhere on empty space. 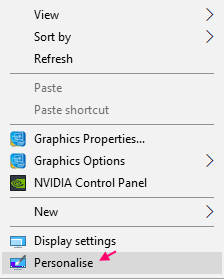 2 -In the context menu which appears, just click on personalize. 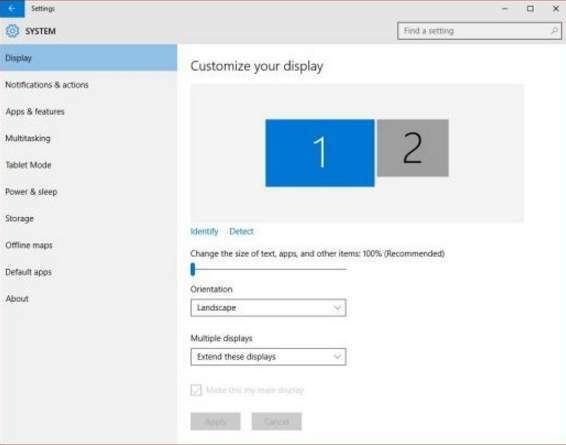 3 – Check that you are able to see TV as a second monitor or not. You can also click on detect to determine the screens. If you are not able to see TV as second monitor. Try the steps as shown. 1 – Press Windows logo key + p together. 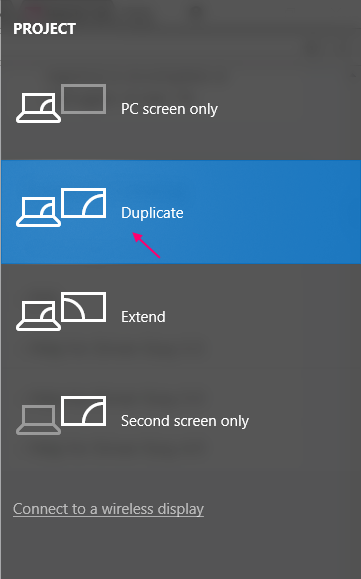 2 – Click on Duplicate to choose Duplicate. 3 – If it does not work, Click on Extend to choose Extend. 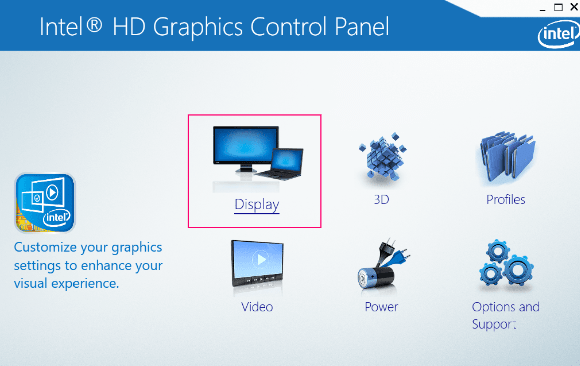 Check if your Windows 10 PC is detecting HDMI or not. 1- Make sure that your HDMI cable is attached and Your TV is turned on. 2 – Now, Restart your computer. 1 – Press Windows key + r.
2 – Write devmgmt.msc and press Enter key. 3 – Now, once the Device manager opens up, just click on display adaptor to expand it. 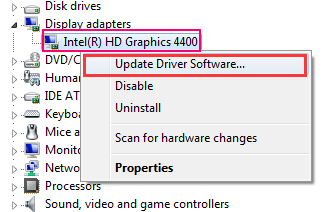 4 – Now, right click on Intel Graphics driver and update driver. Fix 5 – Troubleshoot Hardware devices. 2 -Now, click on Update & Security. 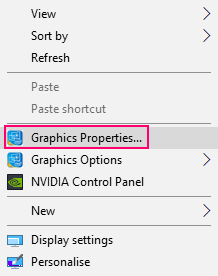 3 – Click on troubleshoot from the left menu. 4 – Click on Hardware & Devices from the right. 5 – Once it expands, click on run the troubleshooter.